Even though a lot of our paper has been eliminated by the computer, there are still a lot of pieces of paper we have to deal with. Every now and then we need to take time to go through them to avoid towers of paper. Invitations, flyers, save the date cards from events that have already happened or are no longer needed are taking up valuable space. Time to recycle these things if they are no longer useful. You don’t need to keep kids’ artwork from last year (and earlier). Keep only the most spectacular items of your kids’ artwork and take photos of the rest. Hang onto them for a year or less so everyone has a chance to see them and then let them go. Old calendars and datebooks have no value after the year is over. If you need information from the calendars or datebooks, take a photo. If not, you can toss them once the next year begins. If it’s a photo calendar, you can always frame your favorite photo, hang it somewhere and get rid of the rest. If you have info from trade shows, meetings or workshops you have already attended, either file it away or dispose of it. You might want to keep paperwork from seminars or classes you attended, but it should not be sitting out in paper piles. Find a place for it in your file cabinet. We tend to accumulate owner’s manuals for products like appliances, lawn mowers, electronics, and more, but never get rid of them when we no longer own the item. If you don’t have it any more, you don’t need the manual for it. Once expired, coupons are useless. Go through them monthly to remove any that are expired. Most bills come with a return envelope, but maybe you pay the bill online. You can either communicate with the company to stop receiving their paper bills and pay them online, or at least get rid of the envelopes that you don’t need. Either way, you will eliminate some clutter. 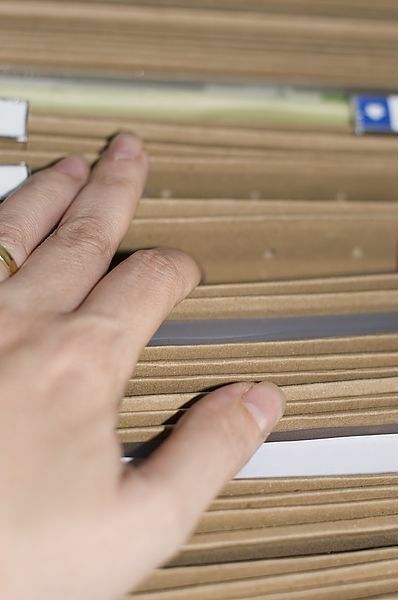 A file box or cabinet that holds your important paperwork can come in handy, but don’t save every piece of paper you receive. If you do, you will quickly discover the file cabinet is full. Only save papers you really need for tax purposes, work or official documents like mortgage paperwork, car titles, insurance information, etc. If you need help going through paperwork or you don’t understand what you need to keep and what you can eliminate, contact me. I’m happy to help.